To celebrate I have a fun giveaway for all the wonderful & lovely followers. Sponsored by ME! I wanted to give my followers a fun prize that will fit everyone! I hope you love it and will use it all spring & summer long. One inside zip pocket. Two inside pockets. Center zip divider pocket. Cell phone pocket. Hot pink lining. Zipper closure. Strap drop length: 5". L 9" W 6.5" H 8"
2.Leave me a comment tell me why follow my blog and like about it. 3. Tell me if you prefer me using random.org to pick a winner or my old school name in the hat drawing. 4. One entry per person, but for an additional chance to win mention my giveaway on your blog or facebook to let other people know about my blog & giveaway. Giveaway ends & closes on May 7, 2010 at midnight pst. I am looking forward to reading all your comments. Good luck and I hope you enjoy my giveaway. Thank you for all your support and keep those comments coming!!! I love reading your blog because you have great style. You're actually one of the first bloggers I followed via Google reader! I would prefer you do randomizer.org but that's just me. Thank you so much for doing this giveaway! Dear Ms Awesome! I am following you under the name Miss Natty Bee. I'm only a recent follower but I have read some of your blog posts and I really like your style. People like yourself inspire me to be more imaginative and daring with my own style and wardrobe :D I'm a huge maxi dress fan and believe anyone can wear them (yes even shorter perople!) you just have to rock a style that suits you (I'm a Boho maxi dress chick myself). hello! I'm a follower through google connect. What I like about your blog... is your sense of style! You're one of the most stylish (and affordable) plus size bloggers I've seen so far. Old school allows for more photo taking ops; if you could make it as creative as possible, that's a plus! and I just sent you an @ msg with my fb link. Hi, i am following you with google reader. I follow your blog through Google Reader. I love "fatshion" blogs and yours is one of my favorites! You have a great sense of style, and great blog content. I am and have been for quite sometime now following your blog, but to my chock today I saw that I hadn't added you to my google connect!?! :O so sorry. BUT now I have. I follow your blog cause I find it interesting, I love the features you did before with fellow bloggers! :D Love your sense of style, it's just always exiting to see what you're up to! I follow you because you are fab and sweet and one of my favorite bloggers and twitter buddies! You rock girl! Draw it out of a hat and take photos its more dramatic! OoOoo! ill enter ... hi cid ... im bbm. lol. i love ure blog cuz ure down to earth, real, and fashionable. i would prefer u do ramdomizer.org cuz its much easier for u ... no? thanks so much for a generous giveaway and congrats on reaching triple digits! well deserved! xoxo! I follow and read your blog because you have something different going on everyday. I love your friends and trends and your ootd's:) You are a great blogger! 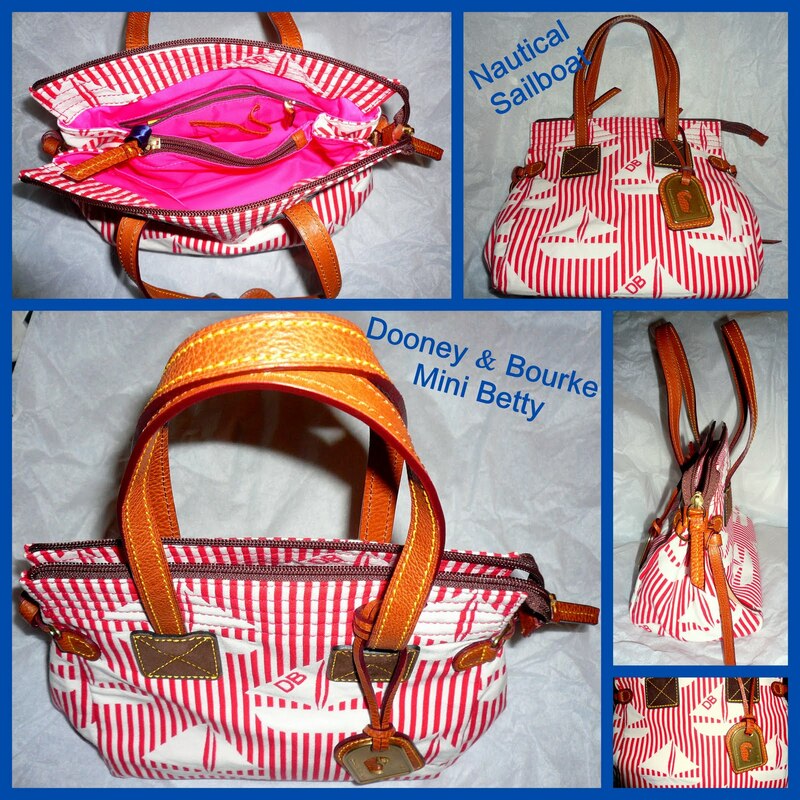 I love the purse...the whole nautical look is my favorite trend this spring. Hey Chica...I follow your blog because you're awesome!! Annnnd you are very real and don't try to be someone you're not! Stay true chica! Hello! I'm a longtime lurker of your blog, and just decided to follow you officially. It's become a daily evening ritual to check out your blog (and others) with some green tea and plan out my outfit for the next day. It's my favorite way to unwind. I enjoy reading your blog specifically because of the options you post up here regarding certain trends, plus everyone is affordable and attainable. Other sites have found pieces at stores that I can NEVER find when I go, LOL. I vote name out of a hat, just because it's funner. -i follow you because your a stylish woman in the big bad LBC! i love your quirky events that u always share with us, ur readers, and i really enjoy how u spotlight so many other fatshion bloggers in your posts. I love your blog because you have great style and I love seeing how you put things together. I'm following you of course, under this account. I just discovered your blog today, I have to say what I love the most about your blog is that you actually wear things I would wear! A lot of fatshion blogs (although I do love those, too!) show girls wearing outfits I just wouldn't wear for one reason or another. I also love it when you feature other fatshionistas! It's great to have a variety. In my opinion the randomizer is better, btw. I follow you through my blog here on blogger! I enjoy your blog for multiple reasons, but mainly because you wear the latest trends but make them work for a curvy body type. They aren't these cheapened, modified versions of trends, but rather the actual trend that's tweaked ever so slightly to fit you in a way that is not only appropriate but chic and unique. As far as what method to use, use whatever is easiest! Blogging should be fun- not stressful! Hi, I'm following you as "tabayag" (as usual!) on Google connect and we tweet! I love your blog because it's got great outfit posts that are done well! I think you should draw it out of a hat, more fun!! Annnnd such a CUTE BAG!!! I follow your blog because I get style ideas from you and I like the way that you put your outfits together, your an inspiration. Hi, I am following under the name Kathryn on Google Connect. I love your blog and picked it as my first to follow because I enjoy the fact that you showcase trends in ways that relate to curvy gals like myself :) My email is kgraulty (at) gmail (dot) com. The Old School way of picking seems more fun. I know it is a little late, but I will email you the post where I mention the giveaway on my blog. I've been reading your blog for about a month now along with some other fatshion blogs like YFF and CGC. I like your style and am able to use your posts for inspiration. i think that you should do whatever is easier for you...i love the name in the hate (but i am old school like that haha) random generator is a lot easier.